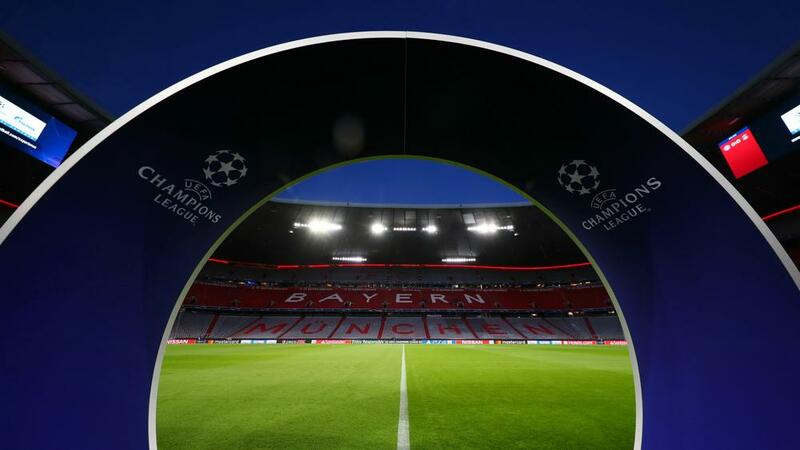 Bayern Munich have been charged by UEFA after fans displayed an "illicit" banner criticising VAR during the Champions League loss to Liverpool. The use of technology in German football has been met with opposition from the stands and Bayern fans vented their frustration in Wednesday's quarter-final clash at Allianz Arena. The banner read: "Modern football kills emotion. F*** VAR! F*** UEFA!" Bayern have also been charged with 'kit infringement' after Leon Goretzka wore the wrong shirt in the 3-1 second-leg loss. The midfielder, a second-half substitute, took to the pitch in the club's Bundesliga's domestic kit, which features Qatar Airways and T-Mobile logos. Article 28 of the UEFA Equipment Regulations states that teams are prohibited from advertising more than one sponsor on shirts worn in European competitions. The cases will be heard by the UEFA Control, Ethics and Disciplinary Body on May 16.